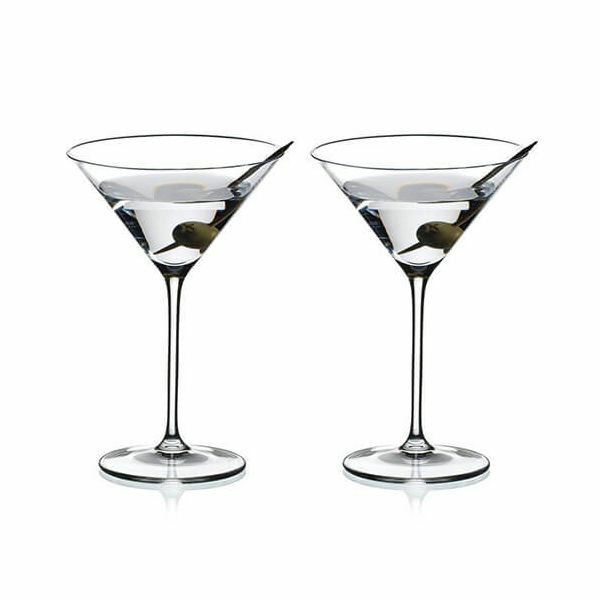 This set of 2 extra large Riedel Vinum Martini glasses are perfect for enjoying a freshly served Martini at home with olive or garnish. The steep rise of the sides of the glasses enhance the spirit of the Martini. Ideal for special occasions and dinner parties the set of 2 extra large Martini glasses are dishwasher safe and also make the perfect special gift for friends and family. Each of the glasses have a capacity of 270ml.